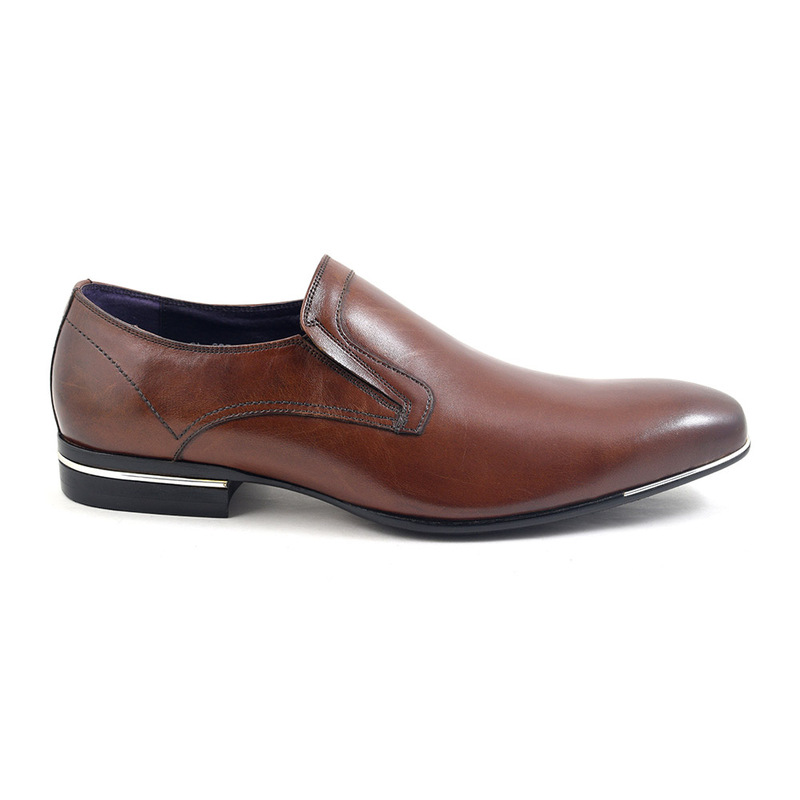 A lovely caramel hue on this formal slip-on is accentuated by a silver metal strip to the toe and heel. This shoe has personality and style in the bag. 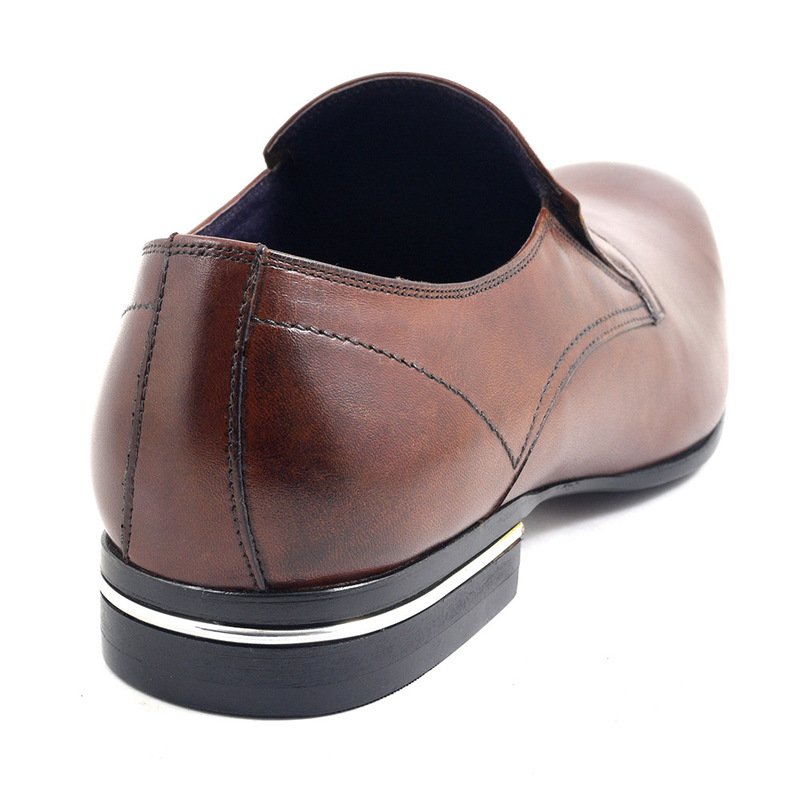 Funky mens shoes are a trademark of Gucinari. 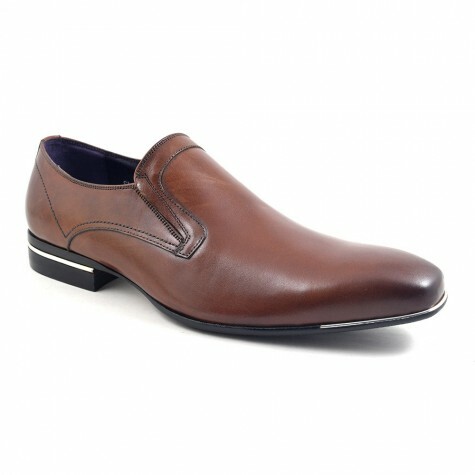 The brand saw a gap in the market for mens funky shoes like these tan metal strip slip-on shoes and have been providing much choice for men in designer shoes and boots for many years. The focus is in creating desirable yet affordable mens footwear. Be original. Be yourself. Gucinari is Dedicated to Style. 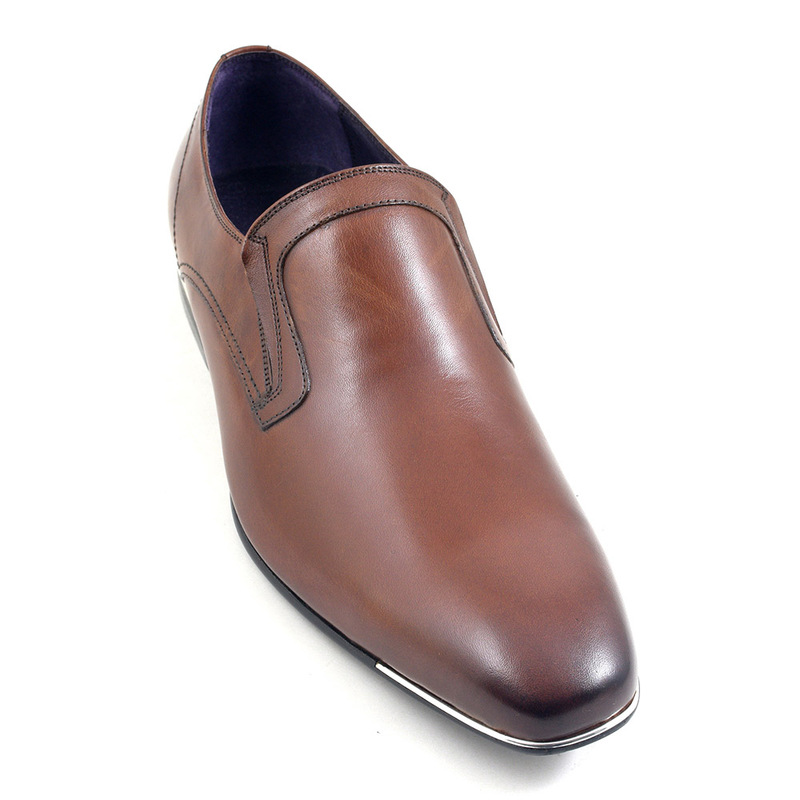 Be the first to review “Bay Tan Metal Strip Slip-On” Click here to cancel reply.